Yō Hinomura, a Japanese potter, comes into the possession of some film showing an assassination by an agent of the "108 Dragons", a powerful Chinese mafia. When he refuses to turn the film over to them, they kidnap him. Hypnotized, he is trained as an assassin for them and his body is tattooed with dragons. 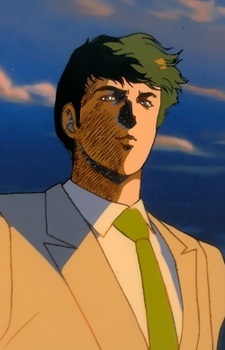 He is given the codename "Crying Freeman," because he cries after a kill and longs to be free.